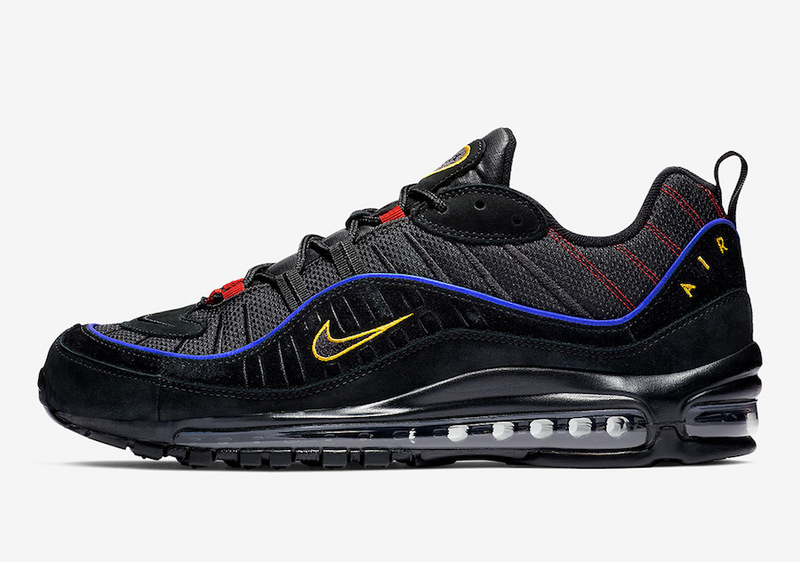 Nike Sportswear continues to expand their Air Max 98 line-up this year, and one of their latest release is this iteration coloured in Black/Amarillo-University red. 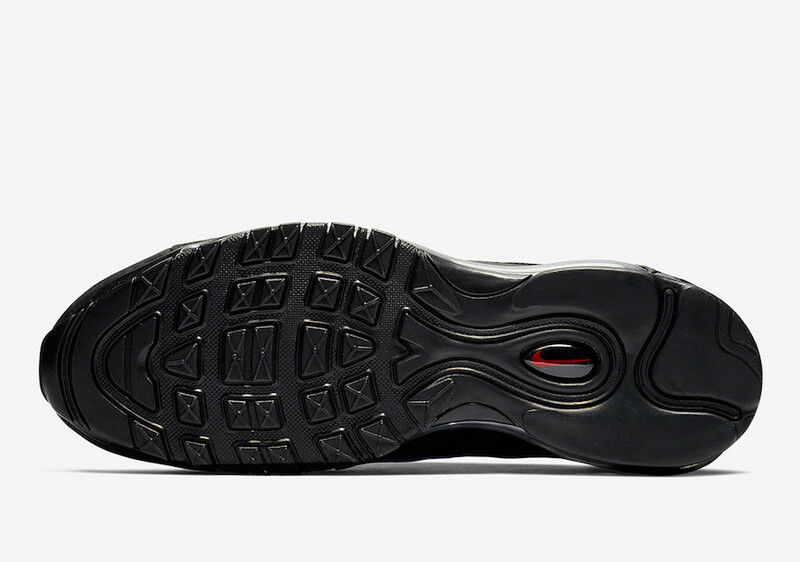 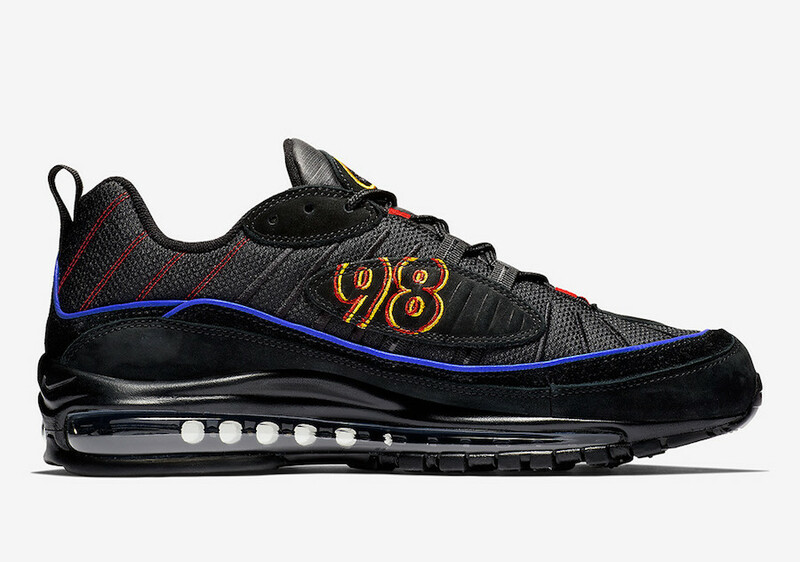 Originally released back in 1998, as a nod to that year, Nike has placed a brand new “98” graphic on the medial side. 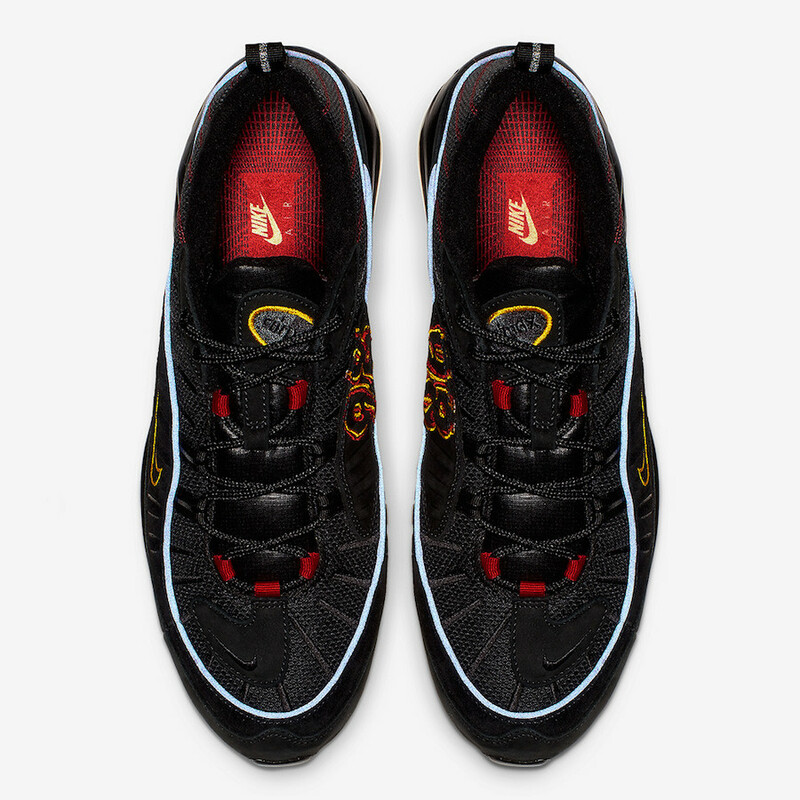 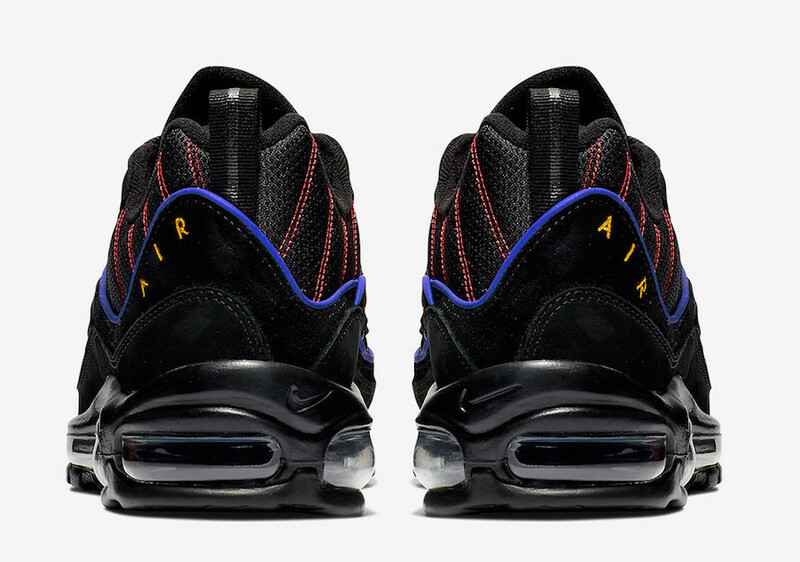 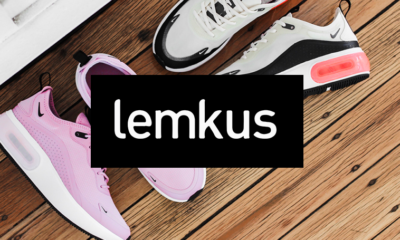 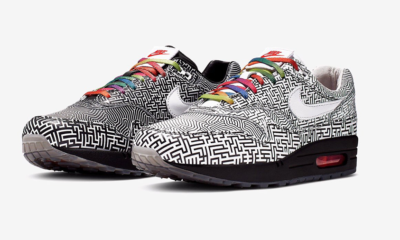 This iteration of the shoe features a Black upper with Blue reflective racing stripe along with Red and Yellow contrasting accents. 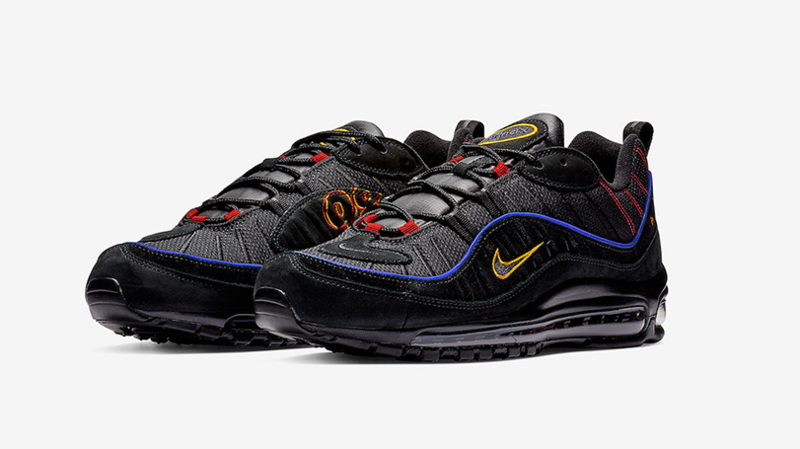 You can pick up this Nike Air Max 98 “Black Amarillo University Red” online via Nike.com, for the retail price of R2799.95.